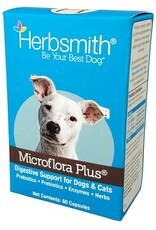 What is Microflora Plus for Digestion? Microflora Plus for Digestion promotes proper digestion and bowel health with a complete combination of prebiotics, probiotics, herbs and digestive enzymes. This full-spectrum formula was specially created for dogs and cats by Dr. Chris Bessent, a practicing holistic veterinarian. 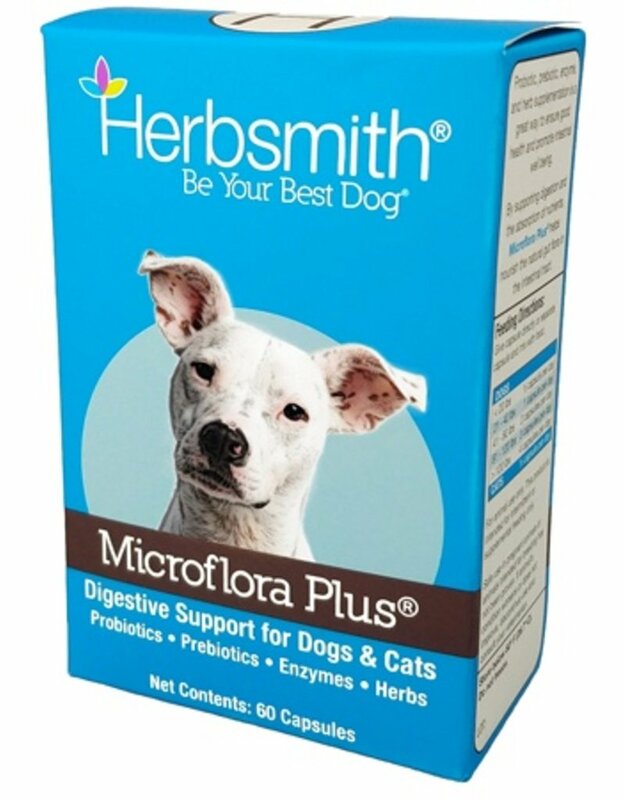 The synergistic blend of ingredients in Microflora Plus for Digestion provides comprehensive digestive support for pets. It helps to regulate bowel movements, improve absorption of nutrients from food, and also helps promote optimal immune system function. Prebiotics help support the growth and viability of probiotics, the "good" bacteria that naturally inhabits the GI tract. Probiotics help control the amount of "bad" bacteria present, which can negatively affect your pet's health. Also, the digestive enzymes and herbs included in the Microflora Plus for Digestion formula help promote proper digestion of food. Give capsule directly or separate capsule and mix with food. For animal use only. This product is intended for intermittent or supplemental feeding only.Safe use in pregnant animals or animals intended for breeding has not been proven. If animal’s condition worsens or does not improve, stop product administration and consult your veterinarian.